Food enthusiasts, Rosette and Miguel, met each other at a Japanese restaurant and discovered their love for food. They later on embarked on their food journey, hence, they have become their own EATVENTURERS. Since then, they visited several food establishments daily, weekly or whenever time permits and tried variety of food choices from street food, vegetarian choices to Filipino, to Chinese, or even to Western cuisines and visited random hole in the wall restaurants to satisfy their cravings or simply do their favorite hobby, eating. By 2015, they already tried hundreds of food establishments and decided why don't they make a blog? 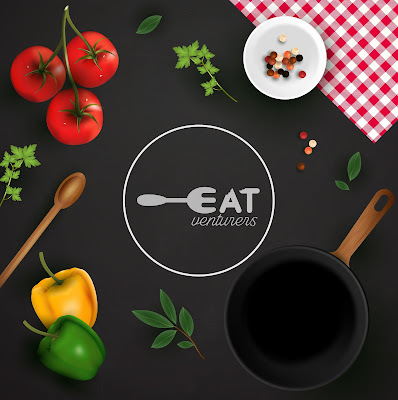 Food blog has long been planned even in their previous eatventures since Rosette is a writer and Miguel is passionate about the food industry. They love taking photos of their food and have become their family and friends' go-to persons for restaurant and food recommendations. However, since they wanted to make things perfect before they can launch their own blog, it took them almost two years to do so. Join them as they partake into their eatventures and expect reviews, budgeted foodtrip/tours and anything delicious. The blog is currently being run by foodie friends Rosette and Gaea. yup, that's how much they love food multiplied to infinity.